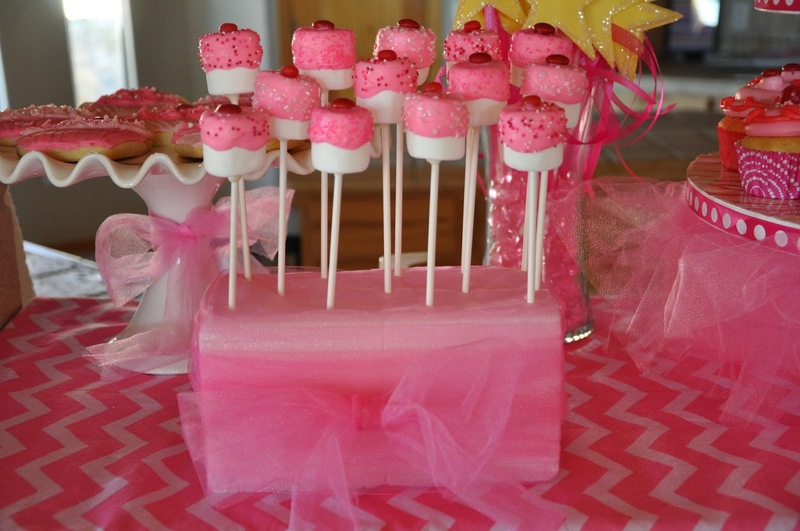 Indulge With Me: Lucy's Very Pink Pinkalicious Party! 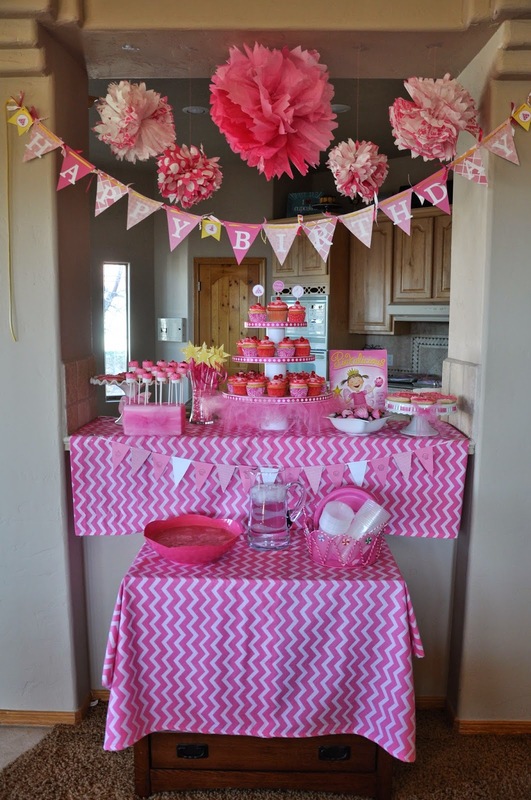 Lucy's Very Pink Pinkalicious Party! 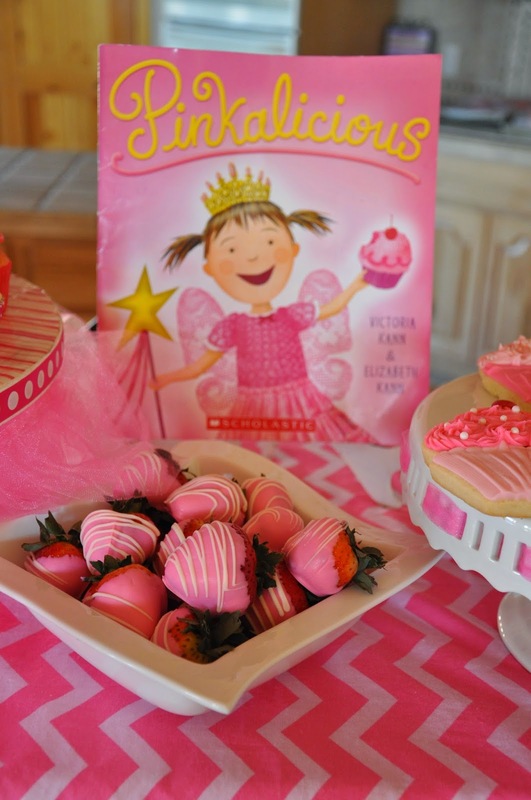 Lucy is obsessed with pink and the Pinkalicious books which I think are pretty darn cute myself so this was the perfect birthday theme for her. We had so much fun planning this together!! I tried to copy the cupcakes from the book but they didn't really turn out as cute. 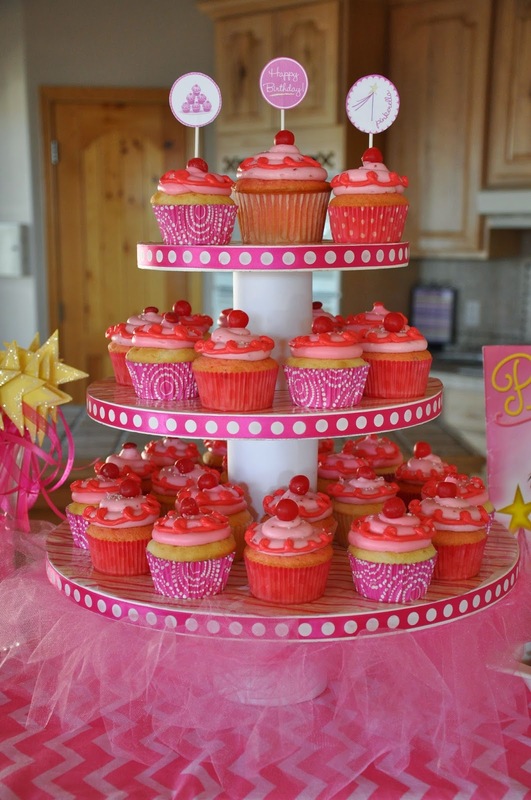 I could have added a mini cupcake on top of these to give them more height for the swirled frosting. Oh well, good thing Lucy is only 3! 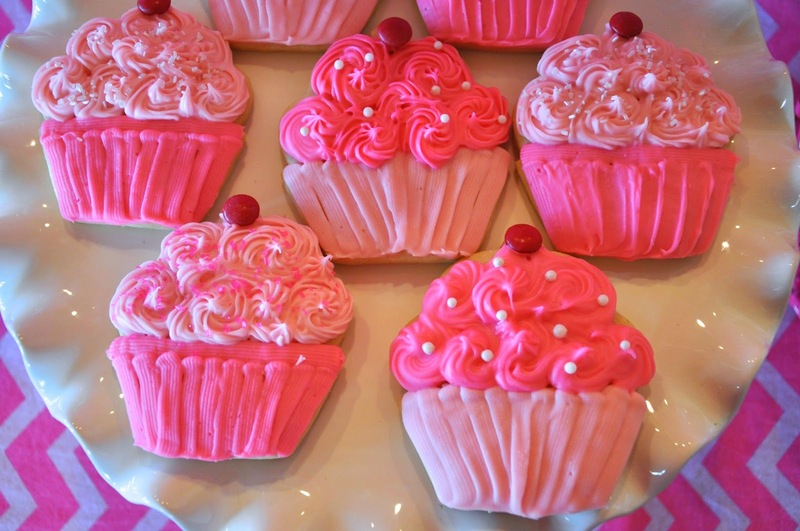 We made vanilla cupcakes with cream cheese frosting and strawberry cupcakes with strawberry cream cheese frosting. 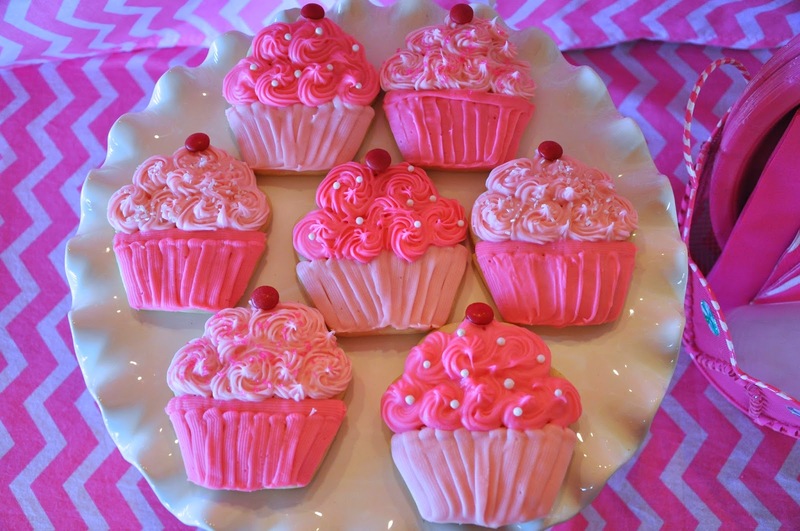 I found the cupcake toppers at this blog. I also used them on the banner. 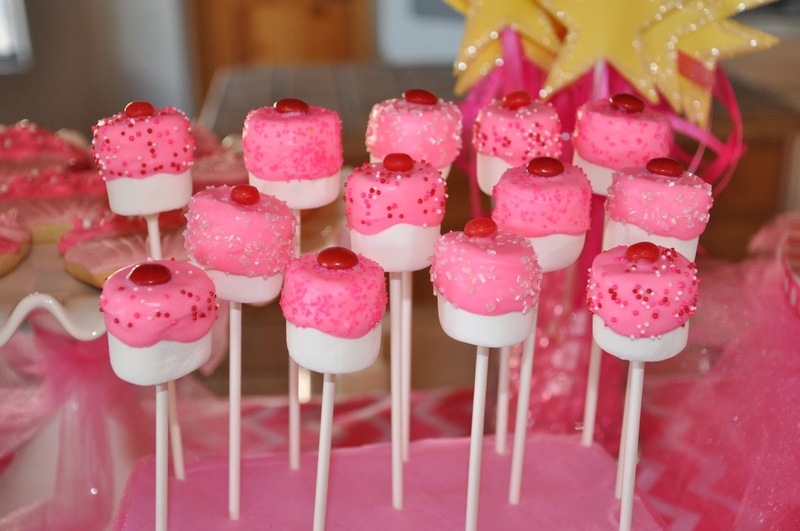 Cupcake Marshmallow pops. Lucy really wanted these. She loves marshmallows and have I mentioned she LOVES pink. I used pink chocolate to cover half the marshmallow, sprinkles, and a red M&M or red hot for the cherry. To get the marshmallow to stay on the stick I dipped the stick in melted chocolate before inserting it into the mallow. Let dry and then dip into pink chocolate. 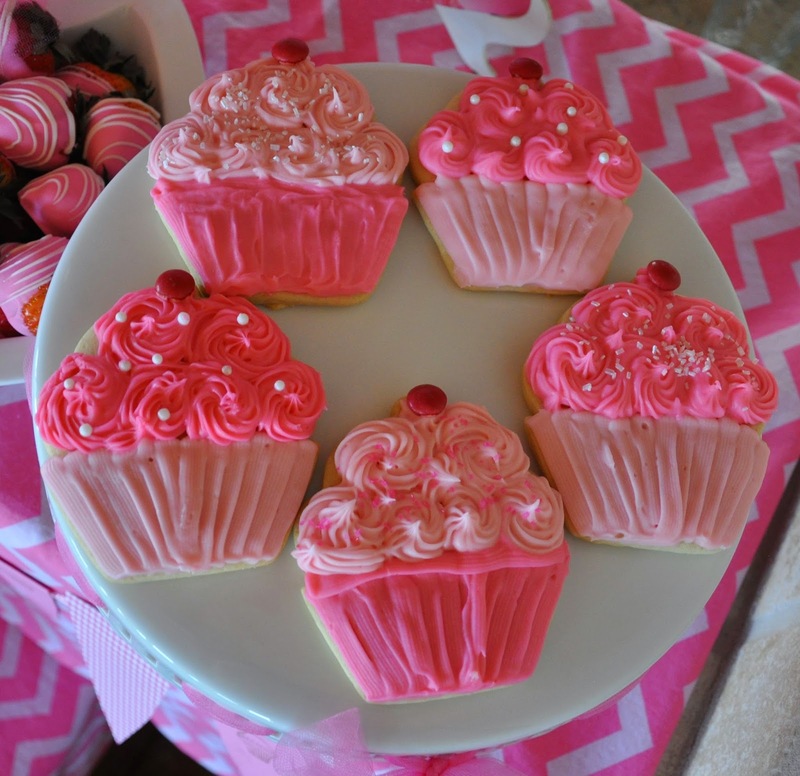 The lighting wasn't so great on these but they were probably my favorite thing, cupcake sugar cookies. I found this cookie cutter at Crate and Barrel years ago but have since found them all over. I used a lattice tip (or any flat tip) to pipe the liner on. Then I used a star tip (16 or 21) to add the swirled frosting, then added sprinkles and a red M&M. Banner #2. 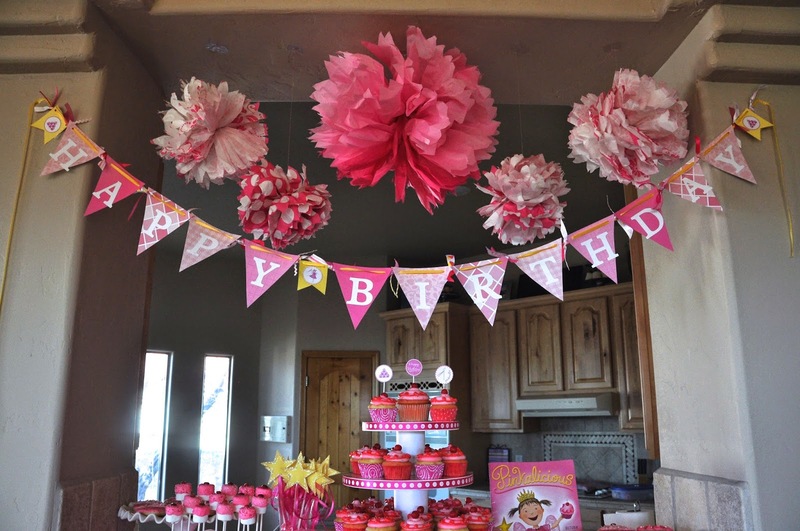 This is actually the same banner that my dear friend Alicia made for Lucy's cupcake baby shower. Yes I keep everything party related, you never know when you might use it again. 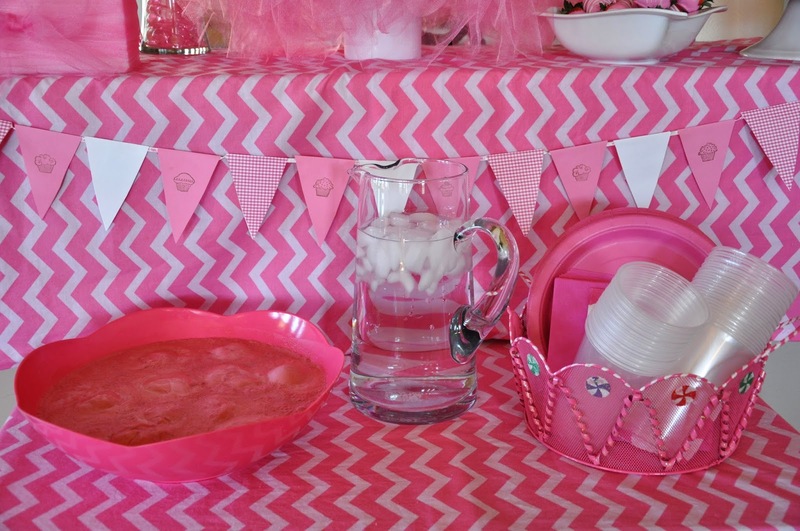 We also made a pink punch (raspberry sherbet and Sprite) because we needed one more pink thing and more sugar. 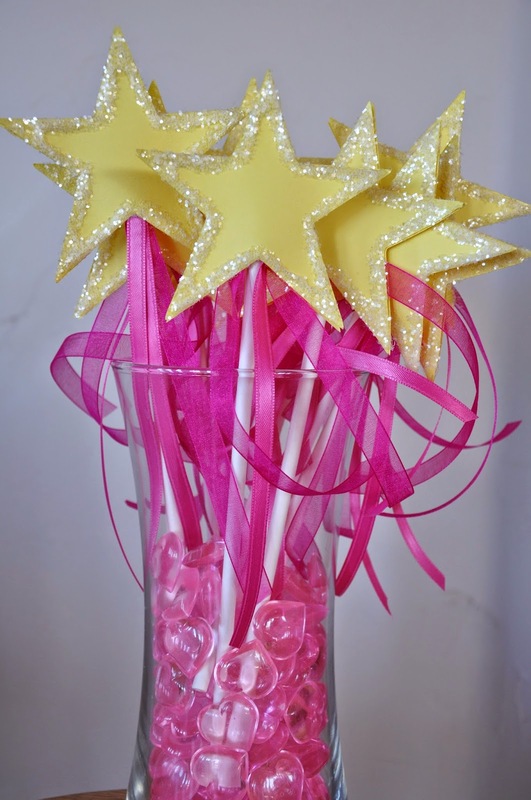 A Pinkalicious party isn't complete without the star wand. 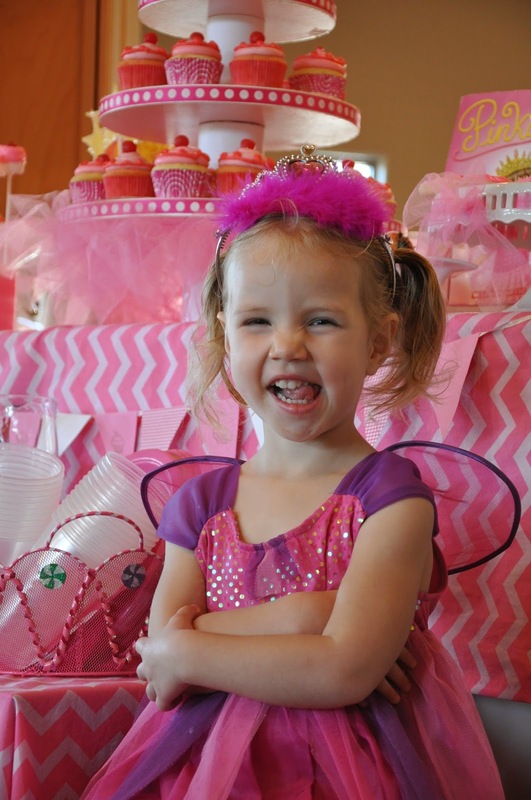 Happy Birthday Lucy-lou, aka our Pinkalicious Princess!